This past Monday Alton Baker Park’s Canoe Canal got cleaned up thanks to a bunch of motivated volunteers! A large and very helpful group from Elevate Oregon came down and spent the day cleaning up the waterway. Thanks to the City of Eugene for coordinating this effort and for supplying the work tools, safety equipment and the truck to haul away a large load of garbage! We hauled out over 7 tires! 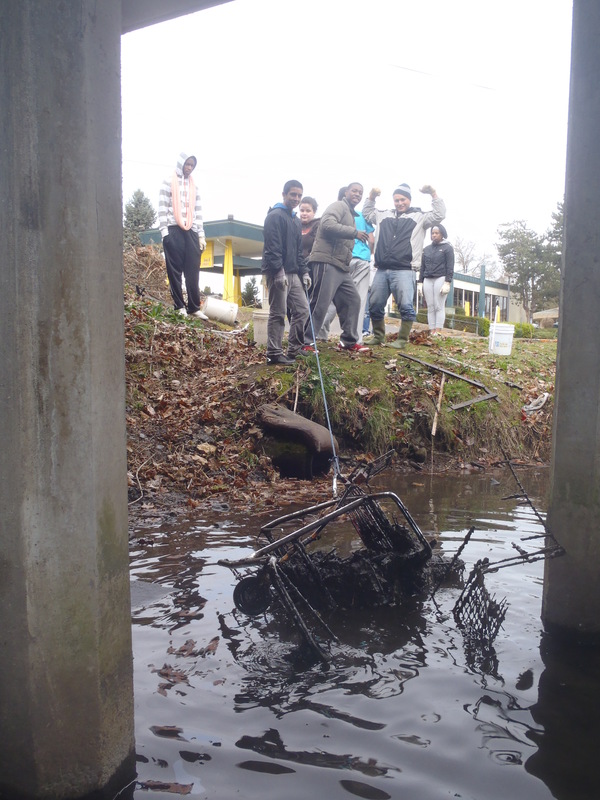 Also, with a lot of teamwork we were able to yank out a buried shopping cart from the water! This was a cart from Shop & Save, a store from Coburg Rd. that hasen’t been in business for over twenty years! This shopping cart was in the water here for that long at least..